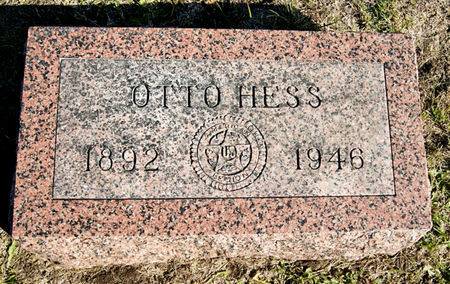 Otto Hess, son of James Hess and Nellie Gosnell, was born Feb. 28, 1892 at New Sharon, Mahaska Co., Iowa and died Sept. 17, 1946 in Conway, Taylor Co., Iowa. He married Orda Ellen Burge June 8,1927 at Bedford, Taylor Co., Iowa. Searching for OTTO HESS in Taylor County Iowa?